Madeleine McCann went missing on the evening of May 3, 2007 while her family was on vacation in Praia da Luz, Portugal. However, the investigation continues as Scotland Yard continues to work toward finding answers as to what happened to Maddy McCain and where is she. UK police have released two “e-fit” images of the same man who witnesses say is a man that they saw the night that Madeleine McCann went missing. Detectives are asking for the public’s help to identify the man in the picture. Police in Britain have released images of a man whose identification is of “vital importance” to the investigation into the 2007 disappearance of a 3-year-old girl from a Portuguese town. 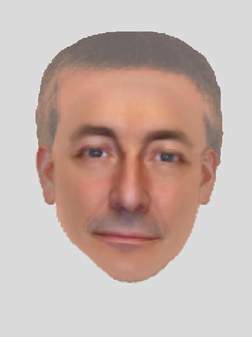 The two so-called “e-fit” images, constructed digitally with the help of statements from witnesses who say they saw the man on the night that Madeleine McCann went missing. will be featured in a BBC documentary on the case that will be broadcast across Britain Monday night. 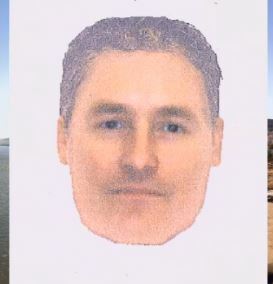 The man is described as being white, aged between 20-40 years old, with short brown hair, of medium build, medium height and clean shaven. One of the main priorities for the investigation is being able to identify the man who is being described, police added. The witnesses have described the man in the e-fit as being white, aged between 20 and 40 years old, with short brown hair, of medium build, medium height and clean shaven. Detective Chief Inspector Andy Redwood, the senior investigating officer, said: “Whilst this man may or may not be the key to unlocking this investigation, tracing and speaking to him is of vital importance to us. “We have witnesses placing him in the resort area around the time of Madeleine’s disappearance. Missing Madeleine McCann Spotted With Suspect (Robert Murat’s) Girlfriend?? ?